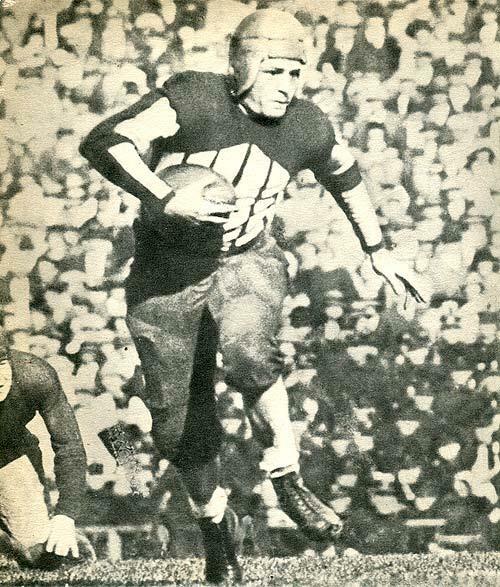 Grange, the “Galloping Ghost,” on the field, 1925. In Washington between games on a nationwide tour, the great University of Illinois running back, Harold “Red” Grange, then playing with George Halas’ Chicago Bears, stopped in to meet the President at the White House. Coolidge, as was his way, met the introduction with dry New England humor. It was one of those moments Colonel Starling and Will Rogers would later evoke when they said Coolidge expended more wit than most people realized at the time. Either one “got the joke” or did not. The President would not waste time and thereby destroy the humor in circumstances with an elaborate set up for his punchlines. Accompanied by Illinois Senator William B. McKinley and Representative William P. Holaday, the auburn-haired “Red” was presented to the redheaded Chief Executive. “Mr. President, Red Grange, who plays with the Bears.” Capitalizing on that direct introduction, Cal replied with a handshake, “Glad to meet you, young man. I always did like animal acts.” Asking from where in Illinois the “Galloping Ghost” lived, he wished him well on the rest of his tour. Mr. Grange, interviewed many years later, still recalled that day. “I didn’t think it was funny at the time,” but the football legend came to appreciate the humor in Coolidge’s remarks. Despite having a pivotal role in the national appeal of football, Grange, not unlike the man he met that early December day, went on to leave his sport at the height of renown, including charter membership in the Pro Football Hall of Fame, and experienced what he considered his proudest accomplishments in the business of selling insurance. Like Mrs. Coolidge, he became a lifelong fan…of baseball. He never quite caught the football-watching bug, though he attend various games through the years. 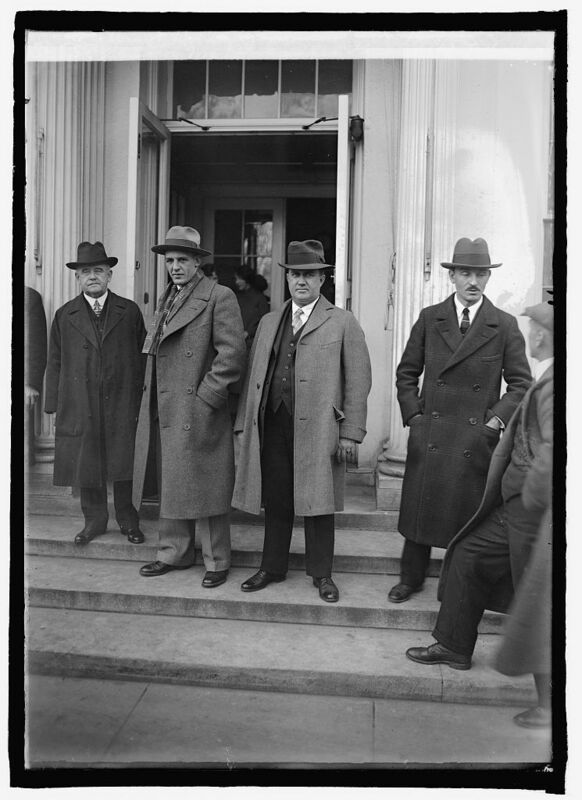 “Red” Grange (in the middle, with scarf) just after meeting the President, accompanied by Senator McKinley and Representative Holaday, December 8, 1925. Courtesy of the Library of Congress.